The National Lotteries Board which comes under Ravi Karunanayake, the Minister of Foreign Affairs currently embroiled in controversy over his purchase of a luxury ‘Penthouse Apartment’ in Colombo, is now offering the general public of Sri Lanka the opportunity to win and also own a “Super Luxury” house in a Lottery Draw. The move, approved by the Cabinet of Ministers, follows a recommendation made by Foreign Minister Ravi Karunanayake. The National Lotteries Board comes under his purview as it did when he was holding the portfolio of Minister of Finance. Incidentally The National Lotteries Board currently runs a very aggressive advertising campaign using many websites and is alleged to be paying approximately US $ 1500 per advertisement carried. A certain website that carries two advertisements of the National Lotteries Board was recently used to sling mud at the lady who testified before the Bond Commission. This is after she provided evidence which exposed Minister Karunanayake’s recent purchase of a Luxury Penthouse Apartment at the Monarch Residencies in Colombo 3, for Rs 165 million. 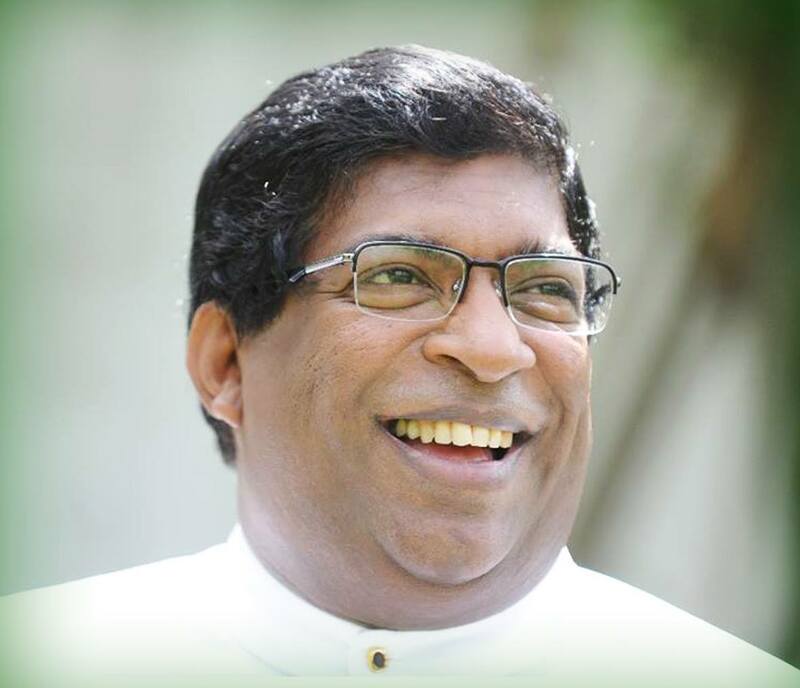 Notably apart from attacking Anika Wijesuriya, those websites have not reported a single word regarding the ongoing Karunanayake’s Penthouse saga. Meanwhile B. R. Chinnaiya the Chief Financial Officer of Ravi Karunanayakes connected companies said that an amount of 145 million used to purchase the penthouse had no trace and was unaccounted for. The witness said that the Penthouse was bought on the instructions of the wife and daughter of the minister. Making a startling revelation before the Commission to inquire into the Bond Scandal drawing inferences of money laundering, Chinaiya said that he was instructed by the Minister’s wife Mela and daughter Onella Karunanayake, Directors of Global Transportation and Logistics (pvt) Ltd, which ultimately bought the Penthouse at the Monarch to purchase the penthouse with company funds. The balance he was asked to use the “cash from the chairman’s safe”. The penthouse was bought by the Karunanayakes using the company as a front after Arjun Aloysius paid the rent for 8 months for the period the Karunanayake’s occupied it. Accordingly the Chairman of the company, one Lakshmi Kanthan residing in London, had brought in cash amounting to 70 million and 75 million in February 2016 and 2017 to be “dumped into the safe”. How do you manage your poster boy the Black and Decker? Some fantasy of course. Women usually squeeze their husbands clanging b***s. At this age you must have forgotten your husband who is probably sleeping next to you or must be having a fling with his old flame, squeezing young stiff bums, …..
We wish you a long fruitful future. If you don’t use your spittoon (padikkama) please pass it on to either Nuisance or HLD Mahindapala. Minister of Foreign Affairs- our public face to the world! Just a common thief. Only, there are too many of thieves around him.